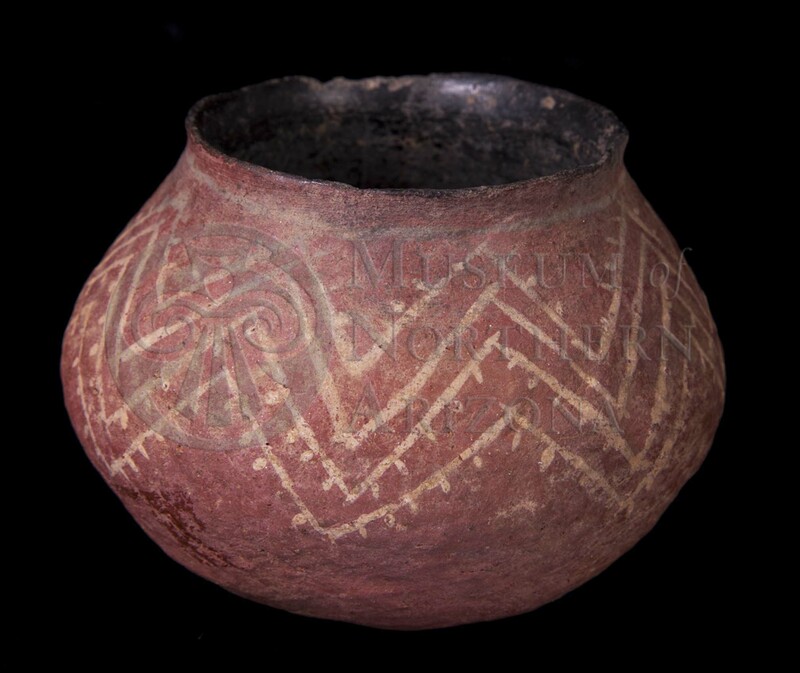 Salado White-on-red jar from the Museum of Northern Arizona collections. Click the image to open the Salado White-on-red gallery. 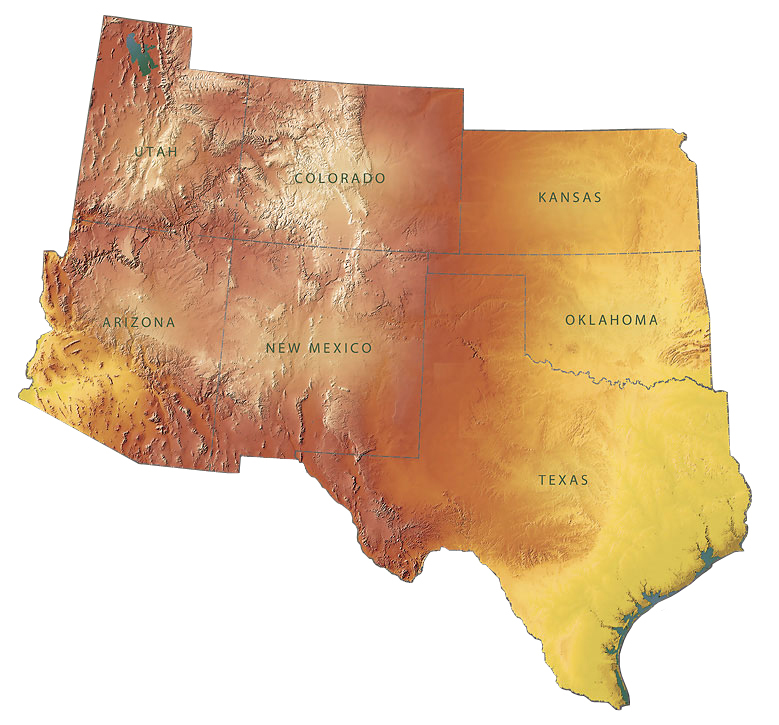 Salado White-on-red is the painted variety of Salado Red and has a similar distribution, which is mainly confined to the Roosevelt Basin, Arizona. Surface Finish: Smoothed, obliterated corrugated; bowl interiors usually smudged and polished; jar neck interiors usually smudged and polished; red-slipped exteriors. Forms: Bowls, jars, vases, pitchers, effigies. Design: Narrow lines and pendant dots on vessel exteriors. Variants: Obliterated, indented corrugated, corrugated, scored, coiled and grooved, and/or non-smudged. Comparisons: Gila White-on-red, which was made by paddle-and-anvil and lacks corrugation. Cliff White-on-red occurs only as recurved bowls. Comments: Lyons and Clark (2012:30) do not consider Salado Red-on-white or its variants to be a Roosevelt Red Ware.